. .it’s back to Doldrums Along the Mohawk . . The monthly numbers do not, by themselves, indicate a trend. Annual or year-to-date figures are better for drawing such conclusions. So far in 2018, Rivers is averaging $12.94 million a month in gross gaming revenue and $219,131 a month in tax payments to Schenectady. For 2017, it averaged $11.66 million per month in gross gaming revenue and sent an average of $189,136 in taxes to Schenectady. `Those numbers demonstrate a 10% growth in average monthly Gross Gambling Revenue at Rivers Casino Schenectady. As we have argued before, 10% more than last year’s 30% shortfall from Rush Street Gaming’s projections for the first year of operation at its Schenectady Casino is not exactly an impressive turn-around. That is especially true when we consider that Rivers Casino has achieved or experienced virtually its entire “Wait Until We Have” List. 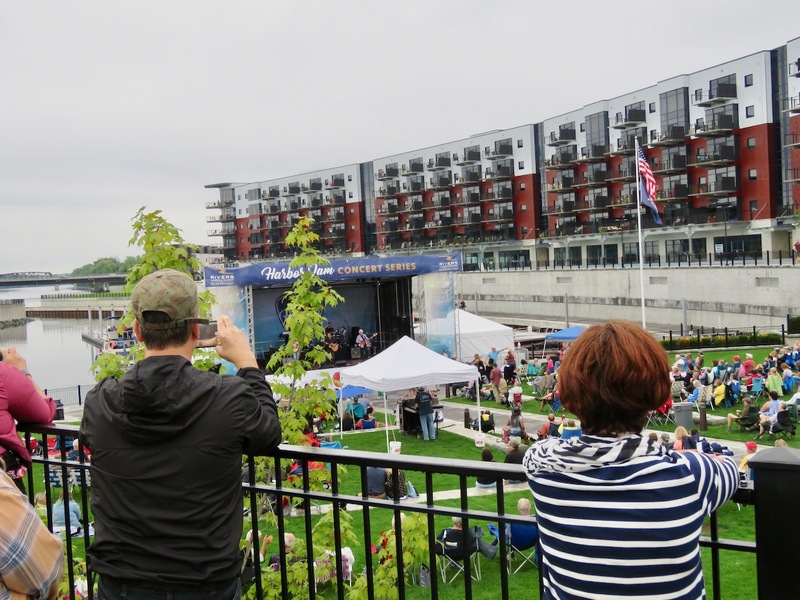 – – from the opening of its Landing Hotel, to a year of rentals at its 200-unit River House apartments, to thousands coming to Harbor Jamboree concerts, and much more. Increased revenues from Slots undoubtedly means an increase in Problem Gambling and gambling addiction in our community, with all of the damage to the gamblers, their families and friends, and our entire society. 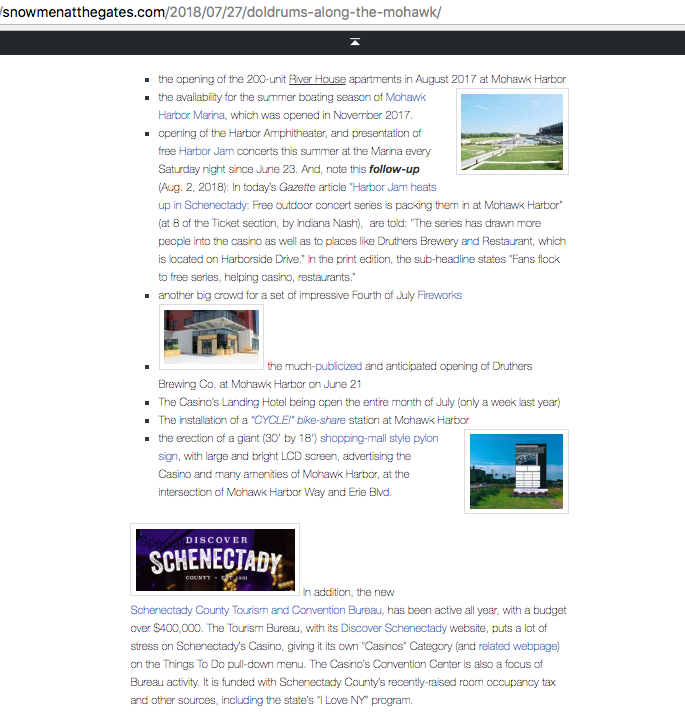 That added hazard for Schenectady is especially true if slots players are predominately local residents. The New York Times article cited above, “Slot Machines Are Designed to Addict” (October 10, 2013), gives a good explanation of how/why slots are so addictive. It was written by Natasha Dow Schüll, and anthropologist and the author of “Addiction by Design: Machine Gambling in Las Vegas”(Princeton University Press, 2013). This entry was posted in Casino Competing, Problem Gambling, Revenue Promises, Schenectady Casino by David Giacalone. Bookmark the permalink.